Every $50 donation allows us to reach out to a child with a dog and a story book. 100% of donations and proceeds to this initiative go toward placing books and dogs directly in the hands of educators. ASCEND will introduce the first educational Cancer curriculum appropriate for children into the school systems. 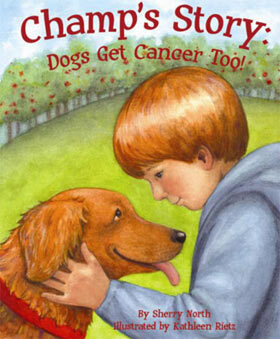 By utilizing a fun, fictional story book, along with a stuffed version of its main character, “Champ,” teachers and parents will be able to educate children on social concerns and treatment protocols for Cancer. The interactive learning experience is meant to advocate positive healing messages for those touched by Childhood Cancer. ASCEND is incorporated in the state of South Carolina as a non-stock, non-profit corporation that is organized and operated exclusively for charitable and educational purposes within the section 501c3 of the Internal Revenue Code of 1986. Your contribution is tax-deductible to the extent allowed by law. If you have any questions, please contact us at (843)225-4055.